Are you moving out of your current home? Let’s face it moving is not fun. No one enjoys or looks forward to packing boxes, taking apart furniture, and moving your items. That is why there are professional moving companies. Whether you want someone to move your items from your old residence to your new residence, or a full service mover to pack, move and unpack your items, there is something for everyone. It is amazing how much you can accumulate in the matter of a few years. When you finally start the packing process you think to yourself this is impossible, or how did I accumulate so much stuff? There are 2 ways to tackle this problem: first get organized. Find ways to prioritize those you will keep and those you can give away. Second, contact a professional mover for packing tips or have them do the packing for you. Using the services of professional movers in Jacksonville can save you time, effort, stress and headache. Movers have the right supplies and expertise to make your daunting task seem like child’s play. Not only can they pack your items efficiently and in a fraction of the time, but they will also move the boxes and un-pack them for for you if you wish. Using the services of professional movers will ensure that your items are safe, secure and intact when they are delivered to their new destination. Most importantly a professional moving company will also be licensed and insured to further protect your items from any accidents that may arise during the move. Most importantly is your health. Using a local moving company will also save your back from injury. The average person does not know the proper technique when lifting heavy boxes or furniture and can severely injure themselves in the process. Saving a little money may not be worth the pain you may be feeing after a move. Taking apart large pieces of furniture is a horrible way to spend your weekend. What’s even worse is trying to remember how to put it back together after a move. That is why hiring experienced professional movers is the best route to take. Movers know how to disassemble furniture and re-assemble it with ease. If you decide to do-it-yourself always disassemble your furniture. Trying to navigate large pieces of furniture through doorways, corners and tight spaces is never an easy task and typically leads to dents, scratches and nicks. It can also lead to injury. Once your items are out, now comes the fun task of cleaning your old place. If you hire professional movers most of the cleaning will be done for you. Movers who pack and move your items always clean up any messes they make, which will leave you with very few things to do once your items are out of the house. This is why hiring a Jacksonville moving company can help you every step of the way during your move. Their jobs are to make life easier for you and help reduce your stress. 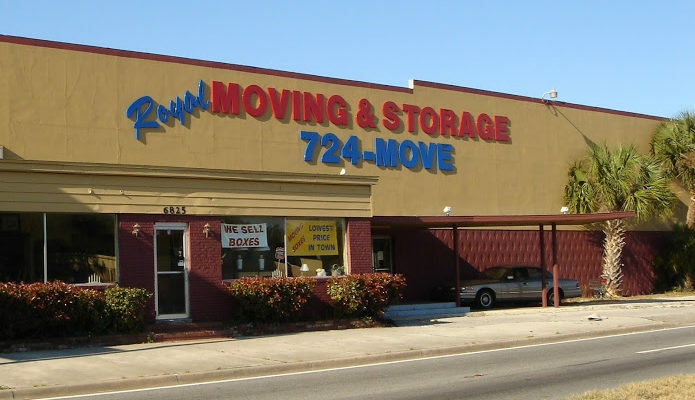 If you need the advice of a professional moving company, contact Royal Moving and Storage today. We specialize in packing and un-packing services and local and long distance moves. For over 30 years we have been helping residents move throughout Jacksonville, Orange Park, St. Augustine and Amelia Island. If you would like a free estimate on your next move contact us today (904) 724-6683.